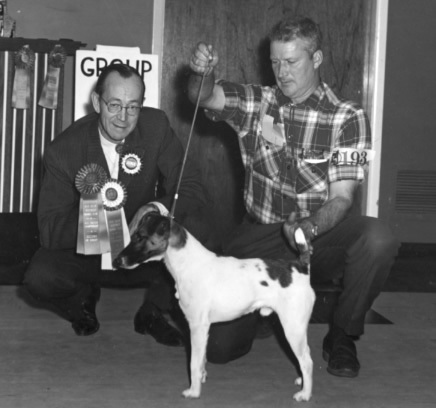 Jim Kilgannon, EKC Life member, Conformation Judge, exhibiting a Smooth Fox Terrier. Jim was also active in field events with his retrievers and loved to hunt. Published March 22, 2014 at 436 × 408 in History.